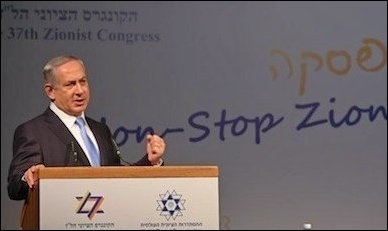 Israeli Prime Minister Benjamin Netanyahu addresses the World Zionist Congress in Jerusalem on October 20. Israeli Prime Minister Benjamin Netanyahu's comments about Haj Amin al-Husseini's impact on Hitler's decision-making about the Final Solution in Europe do not stand up to the consensus of historical research. 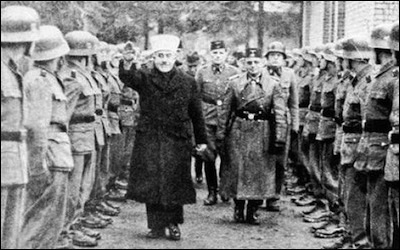 Husseini's importance in Nazi Berlin lay far more in assisting the Third Reich's Arabic language propaganda toward the Arab world and in mobilizing Muslims in Eastern Europe to support the Nazi regime. That said, Netanayhu's comments about Husseini's lasting impact on Palestinian political culture are very much on the mark. In his now famous comments at the World Zionist Congress in Jerusalem on October 20, Netanyahu claimed that Haj Amin al-Husseini convinced Hitler to change his anti-Jewish policy from one of expulsion to one of extermination. 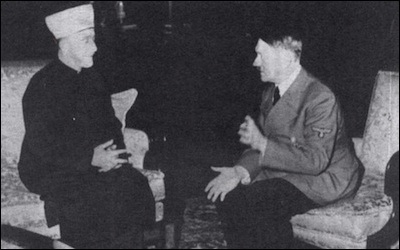 "Hitler didn't want to exterminate the Jews at the time [of the meeting between the mufti and the Nazi leader]. He wanted to expel the Jews," Netanyahu said. "And Haj Amin al-Husseini went to Hitler and said, 'If you expel them, they'll all come here [to mandatory Palestine],'" continued the prime minister. "'So what should I do with them?' He [Hitler] asked," according to Netanyahu. "He [Husseini] said, 'Burn them.'" Netanyahu overreached in pushing back against efforts to diminish Husseini's role as Nazi collaborator. In the Knesset in 2012, the prime minister asserted that Husseini "was one of the leading architects of the Final Solution," and that "he, more than anybody else, convinced [Hitler] to execute the Final Solution, and not let the Jews leave [Europe]. Because, God forbid, they would come here. Rather that they would be annihilated, burned, there." Having spent many years working on the history of modern Germany and on the period of Nazism and the Holocaust, I was surprised to see these quotes and this interpretation. I've never seen these comments cited before in the vast literature on the subject. This interpretation of the events of November 1941 is not supported by the scholarship on Holocaust decision-making. The prime minister overreached in his effort to push back against efforts to diminish Husseini's role as a collaborator and ideological soulmate with Nazi Germany. As this newspaper has helpfully published the English translation of the German record of the meeting between Hitler and Husseini on November 28, 1941 in Berlin, I will place the conversation in historical context. Amidst the vast scholarship on Hitler's decisions to implement a Final Solution of the Jewish question in Europe, the work of two historians stands out in particular. In his 1991 study, Architect of Genocide: Himmler and the Final Solution, Richard Breitman drew on Himmler's appointment calendar to make a compelling argument for an "early" decision, that is, one that was emerging in spring 1941 before the invasion of the Soviet Union and became more obvious with the Einsatzgruppen murders that began immediately after that invasion in June 1941. Subsequently, Christopher Browning, in works that are summarized in The Origins of the Final Solution: The Evolution of Nazi Jewish Policy, September 1939-March 1942, addressed in more detail the evolution of Hitler's thinking and decision-making. Browning's now widely accepted conclusion is that in the midst of "euphoria" over the seeming victory over the Red Army in summer 1941, Hitler took a series of decisions to implement the Final Solution at the latest by October 1941. The historical reconstruction of the decision-making process is complex and well beyond the scope of a newspaper column. There is no substitute for reading Breitman and Browning along with the synthesis of the issue in Saul Friedlander's second volume of Nazi Germany and the Jews, 1933-1945: The Years of Extermination. Husseini meets with SS-Reichsführer Heinrich Himmler, April 1943. In my own The Jewish Enemy: Nazi Propaganda during World War II and the Holocaust, a study of propaganda within Germany, I pointed out that by summer and early fall of 1941 Hitler's fiction of an international Jewish conspiracy waging war against Germany, a fiction which Hitler had repeatedly mentioned since a speech in the Reichstag on January 30, 1939, seemed in his own eyes to be taking shape in the form of the alliance of Britain with the Soviet Union following his invasion of Russia in June 1941. The anti-Hitler coalition confirmed in his mind the truth of his conspiracy theory. As "international Jewry" appeared intent on waging a war of extermination against Germany, so he would "exterminate the Jewish race" in Europe in retaliation. He had been discussing these ideas since early 1939. They reached a fever pitch in summer and early fall of 1941 before he met with Husseini. Hitler made the decision to implement the Final Solution well before his November 1941 meeting with Husseini. The now widely accepted international consensus among historians of the Holocaust is that Hitler had both made the decisions to implement the Final Solution and had communicated those decisions to key actors in the Nazi regime at the latest a month before his meeting with Husseini on November 28th. Husseini owed his life to Mussolini and Hitler, both of whom aided his escape from British forces chasing him after the British overthrew the pro-Nazi government he had helped to establish in early 1941. While he agreed with Hitler about fundamental ideological issues, he was in no position to have a major influence on decision-making about German policy toward the Jews in Europe. 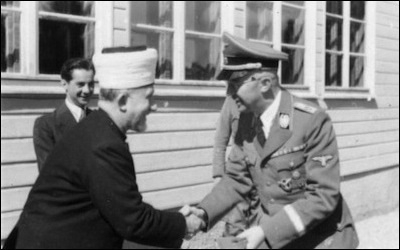 I examined Husseini's meeting with Hitler in my Nazi Propaganda for the Arab World. As the text published by this paper yesterday indicates, Hitler told the Mufti that when the German armies drove south from the Caucuses, "Germany's objective would then be solely the destruction of the Jewish element residing in the Arab sphere under the protection of British power. In that hour the Mufti would be the most authoritative spokesman for the Arab world. It would then be his task to set off the Arab operations, which he had secretly prepared." Hitler had referred to "the total destruction of the Judeo-Communist empire in Europe," a typically vague and sinister reference to his anti-Jewish policies in Europe. Yet he was very clear that he was eager to enlist Husseini in his plans to extend the final solution beyond Europe to encompass the Jews of North Africa and the Middle East. It is in this effort to extend the Final Solution beyond the shores of Europe, not its implementation within Europe, that Husseini came to play a prominent role. Husseini was instrumental in the formation of a volunteer Nazi Waffen-SS division in Bosnia, made up mostly of Bosnian Muslims. As the British historian David Motadel has recently shown in his important work Islam and Nazi Germany's War, Husseini and other Muslim clerics did play an important role in German policy in Europe but it was not by exerting an important influence on Holocaust decision-making. Rather he helped to recruit Imams who preached to tens of thousands of Muslims who fought with Wehrmacht, especially on the Eastern Front against the Red Army. While some of these units took part in actions against Jews, this considerable collaboration did not have an influence on Hitler's decision-making. My intention was not to absolve Hitler of his responsibility, but rather to show that the forefathers of the Palestinian nation, without a country and without the so-called 'occupation', without land and without settlements, even then aspired to systematic incitement to exterminate the Jews." Husseini absolutely wanted to exterminate the Jews, above all, the Jews of pre-state Palestine, and then the Jews of Israel. The evidence of Husseini's pleas to kill the Jews, of his boundless hatred of Judaism as a religion and the Jews as a people is well documented in Nazi Propaganda for the Arab World. 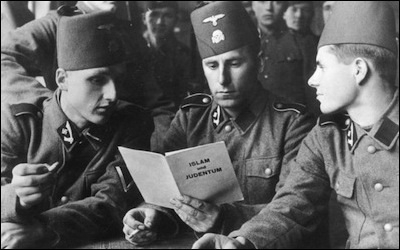 Bosnian Waffen-SS soldiers read a booklet titled Islam und Judentum, a German version of the mufti's pamphlet Islam i židovstvo (Islam and Judaism) that demonized Jews and Judaism. Husseini embedded his Jew-hatred in his understanding of Islam as early as a 1937 speech in Syria that the Germans published in German the following year. In the midst of the terrorist attacks he led and incited from 1936 to 1939 in Palestine, it was Husseini who claimed that the Zionists wanted to seize or destroy the Al Aksa Mosque. This lie became a central element of Palestinian propaganda over the decades until recent weeks. On November 5, 1943, Husseini spoke at the Islamic Institute in Berlin on "Balfour Day," a day to denounce the Balfour Declaration. The speech was printed in German and broadcast on the radio. I examine it in Nazi Propaganda for the Arab World. He vents his hatred of the Jews and the British for helping the Zionists. The Jews, he said, had tormented the world for ages, and have been the enemy of the Arabs and of Islam since its emergence. The Holy Koran expressed this old enmity in the following words: You will find that those who are most hostile to the believers are the Jews.' They tried to poison the great and noble prophets. They resisted them, were hostile to them, and intrigued against them. This was the case for 1,300 years. For all that time, they have not stopped spinning intrigues against the Arabs and Muslims. Husseini's lasting accomplishment was to fuse secular Arab anti-Zionism with theologically inspired hatred of Jews. Husseini the Palestinian leader of the war of 1948 and hero to Yasser Arafat and his generation of leaders of the Palestine Liberation Organization, interpreted Zionism as only the most recent of this supposed age-old Jewish hostility not only to the Palestinians or Arabs as modern national groups but also to the religion of Islam. In the Islamic Institute speech he also referred to a supposed "Jewish desire" to seize the Islamic holy sites, a desire that extended to the Al Akas Mosque. Indeed, the Jews, he said, planned "to build a temple on its ruins." Haj Amin al-Husseini's very regrettable but consequential accomplishment was to fuse secular Arab anti-Zionism with the Islamist and thus theologically inspired hatred of the Jews and Judaism. The lies which Mahmoud Abbas and others have told in recent weeks about Israel's supposed desire to somehow infringe on the rights of Muslims to pay at the Al Aksa Mosque have their origins in lies that are now at least 75 years old. Unfortunately, Haj Amin al-Husseini is still a revered figure in Palestinian society. He appears in textbooks and it is taught that he is one of the founding fathers of the nation, and this incitement that started then with him, inciting the murder of Jews – continues. Not in the same format, but in a different one, and this is the root of the problem. To stop the murders, it is necessary to stop the incitement. What is important is to recognize the historical facts and not ignore them, not then and not today." Here the Prime Minister is on rock solid ground. Far from denouncing Husseini for spreading lies, absurd conspiracy theories and radical anti-Semitism, he has remained a revered figure in Palestinian political memory. The absurdities for which Husseini became famous in the 1940s have continued to play a far too prominent role in the Palestinian political culture ever since. He did incite others to murder Jews. He did spread ridiculous conspiracy theories comparable to those of the Nazis. He did all that he could to help the Nazis in a failing effort to spread the Holocaust to the Middle East and to win the war in Europe. He left behind a legacy of hatred, paranoia, religious fanaticism and celebration of terror so long as it was aimed at Jews and Israelis. The Palestinian authority and Hamas even more so has kept that legacy is alive and well and fills the heads of Palestinian teenagers with rubbish that has led to the terror wave of recent weeks. The Prime Minister has erred in his understanding of the timing of Hitler's decision-making but he is right about Husseini's disastrous impact on Palestinian political culture. I hope that the discussion his comments have generated will draw more attention to the now abundant scholarship on Husseini's role in collaborating with the Nazis in their failed efforts to murder the Jews of North African and the Middle East during World War II. We need more public discussion about the atrocious legacy he left behind that has been playing itself out, yet again, in the knife attacks on the streets of Israel's cities. That legacy of a political culture that venerates violence and anti-Semitism is a huge barrier to successful diplomacy and resolution of the old conflict. The more decision-makers in Washington cast a harsh glare on the enduring impact of Husseini's legacy, the more likely they will enhance the now dim chances for diplomatic success. If they can't find the words to speak clearly about it, diplomacy will stand little chance of success.